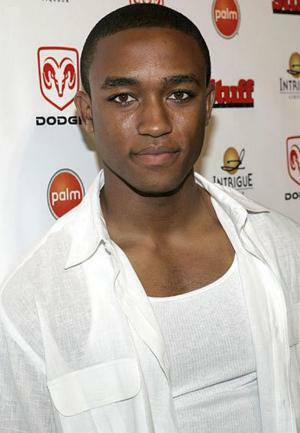 Lee Thompson Young was born on the 1st February 1984 in Columbia, South Carolina, USA, He was an actor, who was probably best recognized for starring in the title role in the TV series “The Famous Jett Jackson” (1998-2001), playing Chris Comer in the film “Friday Night Lights” (2004), and as police detective Barry Frost in the TV series “Rizzoli & Isles” (2010-2013). His acting career was active from 1998 to 2013 – he passed away in 2013. So, have you ever wondered how rich Lee Thompson Young was? According to authoritative sources, it was estimated that the total size of Lee’s net worth was over $250,000. This amount of money was accumulated through his successful involvement in the entertainment industry as an actor. Lee Thompson Young was raised in his hometown by his father, Tommy Scott Young, and his mother, Velma Elaine, but when he was in elementary school his parents divorced, and he stayed with his mother. When he was just 10 years old, Lee made the decision to become an actor, and he performed in various plays in many local theaters, including portraying Martin Luther King in the play “A Night Of Stars And Dreams”, directed by the Phillis Wheatley Repertory Theater of Greenville, South Carolina and Dwight Woods. In 1996, he relocated to New York City, where he attended the Professional Performing Arts High School in order to pursue further his career in the world of acting. Speaking about his education, Lee went to the University of Southern California, majoring in Cinematic Arts and also being a member of the Kappa Alpha Psi fraternity. His professional acting career began two years later, when he was chosen for the title role in the Disney Channel television series “The Famous Jett Jackson” (1998-2001), which was followed by the role of Sam Sterling in the TV film “Johnny Tsunami” (1999). When the filming of the TV series was cancelled, he reprised the role of Jett Jackson in “Jett Jackson: The Movie” (2001), which added a considerable amount to his net worth. In the following years, he featured in a number of TV and film titles, including “The Guardian” (2002) playing Levi Mooney, “Friday Night Lights” (2004) portraying Chris Comer, and “Xiaolin Showdown” (2004-2005) as Jermaine, all adding to his net worth. In 2006, Lee was chosen to play Alex Bauer in the TV series “South Beach”, and he was also chosen to be Victor Stone in the fifth season of the TV series “Smallville” (2006-2010), starring alongside Allison Mack and Tom Welling in the lead roles. Furthermore, he featured in “Five Year Plan” (2008), “Scrubs” (2009) and “Flashforward” (2009-2010) among others, all of which increased his net worth by a large margin. In the new millennium, Lee won the role of police detective Barry Frost in the TV series “Rizzoli & Isles” (2010-2013), which became his greatest, adding a lot to his wealth. If to talk about his personal life, Lee Thompson Young was diagnosed with bipolar disorder and he suffered from clinical depression. Unfortunately, on the 29th August 2013 he didn’t show up for filming an episode in Los Angeles, California,, and later he was found dead having taken his own life at the age of 29. Right after his funeral, his family established the Lee Thompson Young Foundation, which helps young people suffering from mental illness.